Brothers who set up a community organisation in honour of their mum who died from dementia and a support group for children and young people with autism are in the running for a major award.Both Sheffield projects are in the finals for the People’s Projects ( National Lottery ) and you can vote until Monday April 15th. 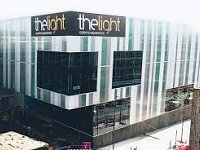 The Light Cinema on The Moor in Sheffield is holding special dementia-friendly screenings to ensure that people living with dementia have the opportunity to watch films in adapted environments. There are no adverts or trailers and the lighting will be slightly raised throughout the screening. 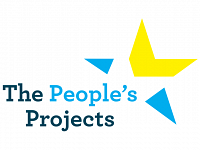 The People's Projects - Vote now! The People’s Project gives you the chance to decide how National Lottery funding can make a difference in your local community.Local organisations competing for funding include the ‘Farm Days Dementia project’ at Heeley City Farm, and the LGBT Sheffield project, ‘Out and About.’ You have until midday on Monday April 30th to cast your vote. An exhibition looking at the effects of dementia not only on patients but the people around them returns to Sheffield at the Art House from February 16 to March 2. Admission is free. A series of Dementia Cafes, organised by the Alzheimer’s Society, are taking place in Sheffield in 2018, aimed at helping people living with the condition to relax, socialise and find out how they can get any help they need.